!! OMG, George Takei compares current Trump policy of keeping children in cages to his internment !! At least during the internment, when I was just five years old, I was not taken from my parents. My family was sent to a racetrack for several weeks to live in a horse stall, but at least we had each other. 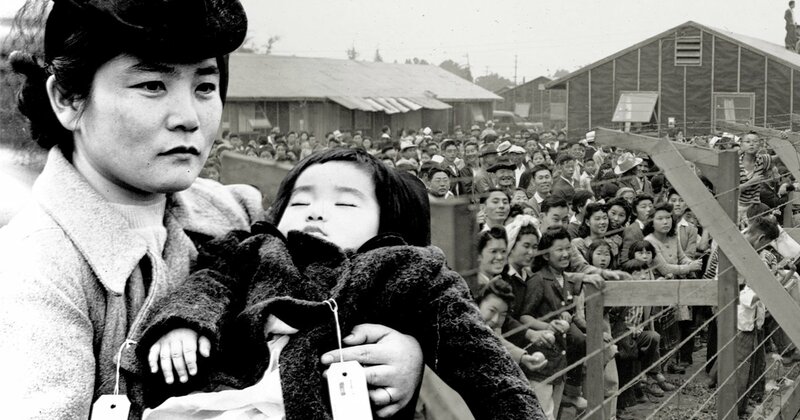 At least during the internment, my parents were able to place themselves between the horror of what we were facing and my own childish understanding of our circumstances. They told us we were “going on a vacation to live with the horsies.” And when we got to Rohwer camp, they again put themselves between us and the horror, so that we would never fully appreciate the grim reality of the mosquito-infested swamp into which we had been thrown. At least during the internment, we remained a family, and I credit that alone for keeping the scars of our unjust imprisonment from deepening on my soul. – George Takei, on being placed in an internment camp with his family as a child, to Foreign Policy. 2 Comments on "OMG, George Takei compares current Trump policy of keeping children in cages to his internment"